To the misinformed Internet lurkers and crawlers out there, I have something I need to get off my chest. Contrary to popular belief, Mario does not break bricks with his head; he uses his fist. The “breaking bricks with his head” misconception almost certainly comes from the visual infidelity of 8-bit graphics of the NES era, and it still survives to this day. To illustrate why 66% of survey answer-ers were wrong, here’s an illustration of Super Mario Bros. for NES, in which Mario is blown up to show the sprite up close. And, if that’s not clear enough, here’s a similar image, though, using the magic of Photoshop, I’ve replaced 8-bit Mario with promotional art from New Super Mario Bros. U. Note that, in both images, Mario’s fist is extended as if to deliver a mighty punch to the brickiest of overhead adversaries. 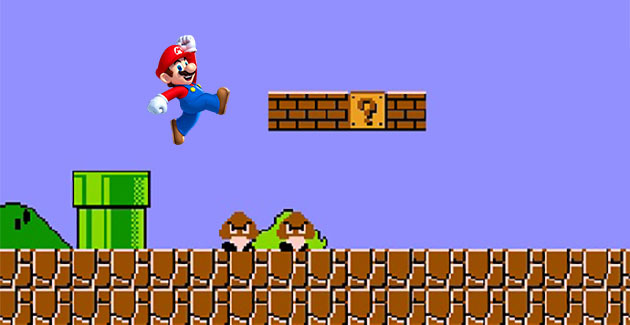 This shows that, for three decades, Mario has been hitting bricks with his fist, not his head. He punches them with his fists. Okay, so that’s a terrible rhyme, and I apologize for it. That doesn’t make me wrong, though. I write about gaming and technology, make adorable pirate folk music, and draw monsters. That's really all I do. Ever. Okay, but do the fireballs come out of Mario’s hand or mouth? Depends on the game. In the original game, he’s very obviously putting his hand over his mouth, to spit them out. In later games, they make it more obvious that he’s throwing the fireballs. He’s always thrown them. The art on the original NES cartridge is Mario throwing a fireball. I actually think the sprite they use for “throwing a fireball” is the same sprite they use for “punching bricks.” It’s his hand above his head, which I presume is his hand following through after the throw. Also, in the SMB3 manual, there’s a cartoon drawing of Mario throwing the fireball. It looks like I might have to do a full article to settle this dispute. It absolutely is not the same sprite. That said, I fully agree that in the Mario 3 sprite it looks like he’s throwing it, and certainly the official art currently (*and even the official Mario 3 art) shows him throwing them. But the sprite from the original game? That’s awfully suspicious looking. Right. 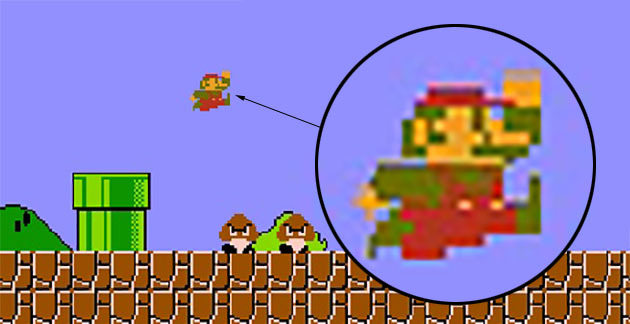 I was wrong about that, because when Mario jumps and shoots at the same time, he immediately reverts back to the sprite where he’s punching upwards. So I was mixing up those two sprites in my head. I was also wrong about the box art, which is actually the jump sprite and not the fireball sprite. I’ll have a full article about this up later this week, with conclusive evidence. I do agree that most all the official artwork has him *throwing* the fireball, so whatever he might have been doing in the first game, by now he very clearly throws it. I’m even willing to go so far as to say that they always intended him to be throwing it. But boy howdy, that sprite in the first game makes it confusing. ….Oh, holy crap. Look really closely at the mouth area of the second and fourth sprite (from SML2 and SMW). It does look like he has some mouth movement in those sprites. It could just be him smiling or something (Mario’s a psychopath, after all), but, well. Mouth movement. The “mouth movement” is just the place where, in SML2, the outline of his hand blends with his mustache. In SMW, it’s the white and grey part of his arm blending with the weird white block under his mustache. I’m not sure that’s true, but it’s hard to be certain when it’s in motion, so I won’t argue one way or another until I can find a stationary sprite. If you disagree then I’ll wish you were dead. the fireballs he throws are prob’ly stored inside his pocket. he throws them with his hands in order to hear his foes ‘click’.